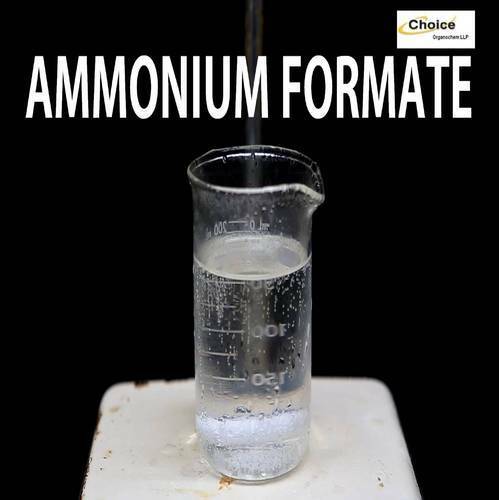 It is Ammonium Formate of formic acid with chemical formula NH4HCO2. It is a colorless, hygroscopic and crystalline solid. When heated, ammonium formate loses the elements of water, forming formamide. Upon further decomposition this decomposes to HCN and H2O.